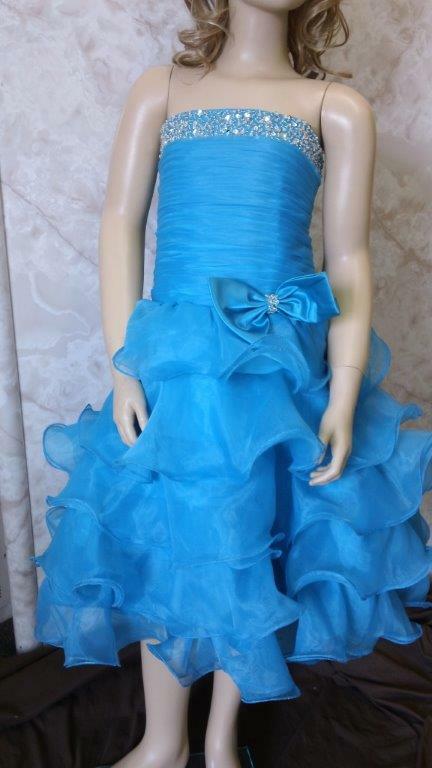 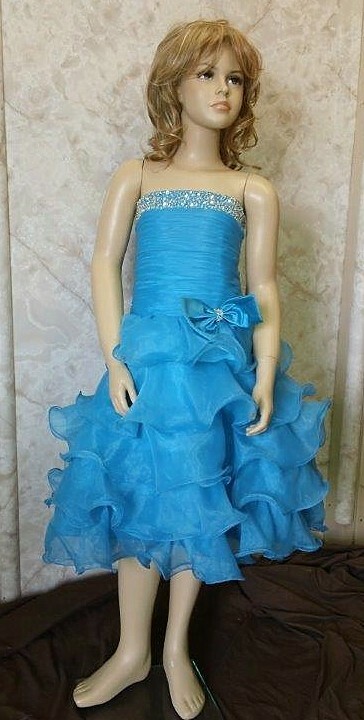 Blue Strapless Short Organza Prom Dress. 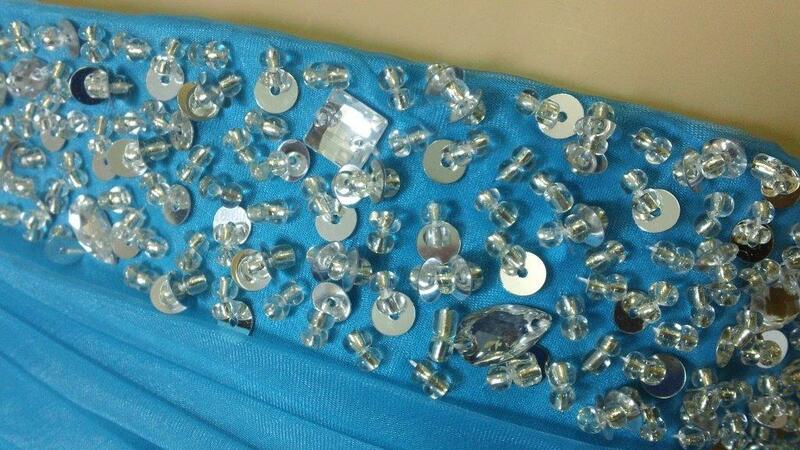 Beaded Strapless Neckline Short Layered Skirt Prom Dresses. 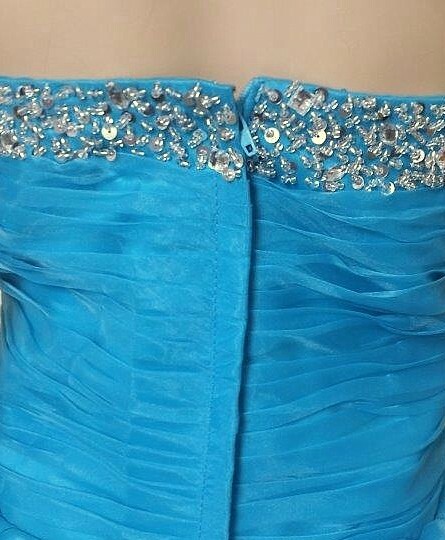 Satin, strapless corset style bodice with contrast piping and beaded embroidery. 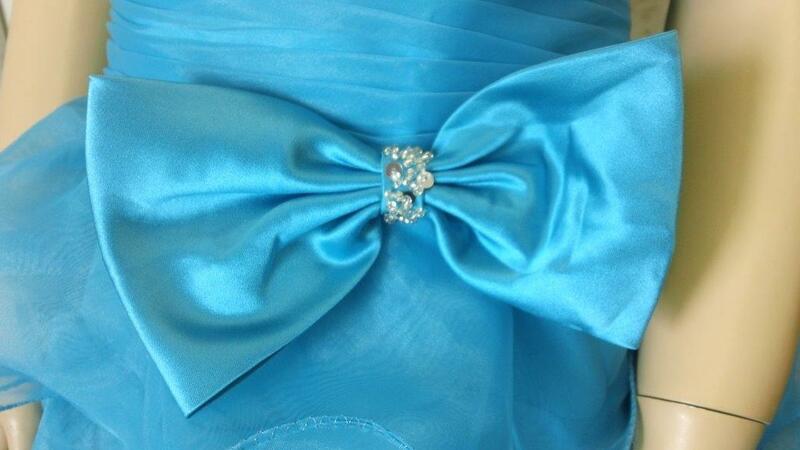 Bow attached at waist and a full organza skirt with scattered beading. 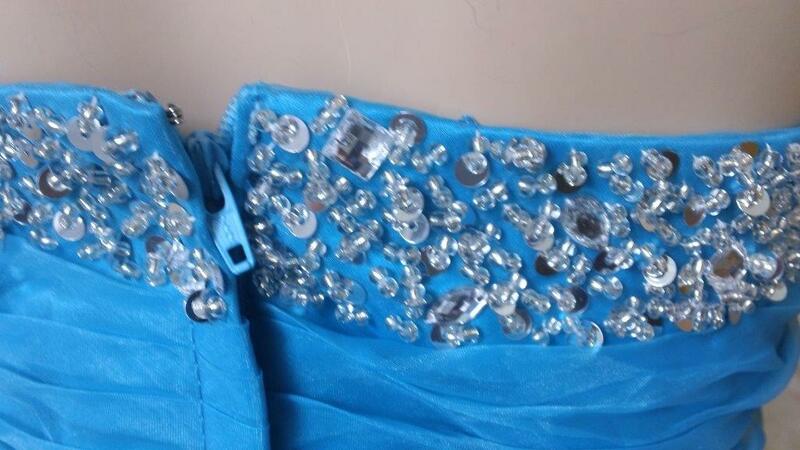 Lace up back available.